Playful in color, elegant in form. 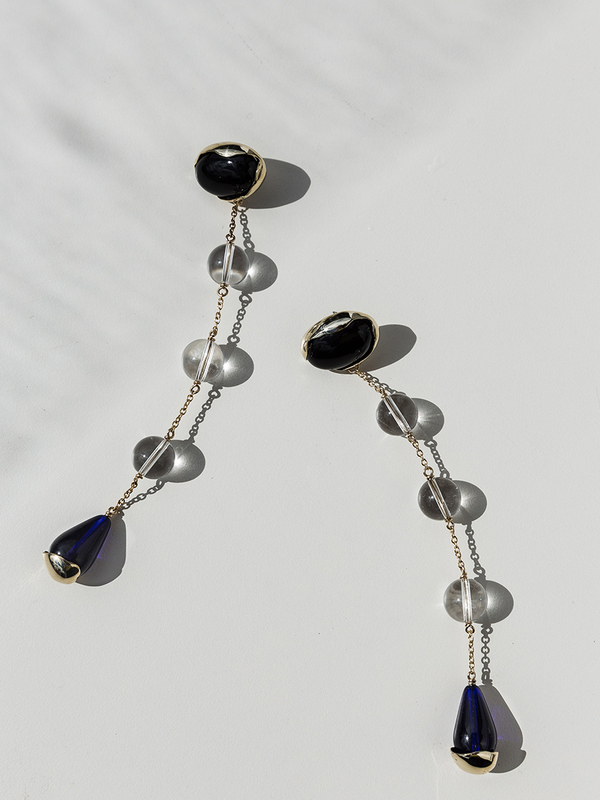 This head-turning, swaying pair is available in bronze with onyx, quartz and blue glass beads. Sold as a pair.